The following my objections to President Reagan regarding the Plaza Accord and the policy of Jim Baker to create the G5 and at that meeting it is when the idea of the Euro was born to create a currency to compete against the dollar. I had warned that volatility would increase as a result of such manipulations on the past of government and the answer would lie in a reform on the monetary system. 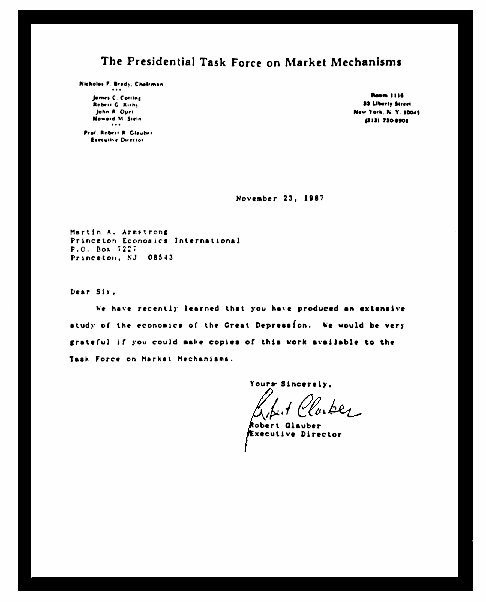 When the 1987 Crash unfolded and volatility reached new record highs, this is when a formal request to supply our research into international capital flows arrived from The Presidential Task Force on Market mechanisms otherwise known as the “Brady Commission.” Our efforts were designed to demonstrate that the high volatility of the 1987 Crash was caused by international currency concerns, and was not the result of domestic economic events nor was it driven by manipulative speculation. There was also no evidence whatsoever that this was ABNORMAL being driven by computer trading that has begun to emerge. 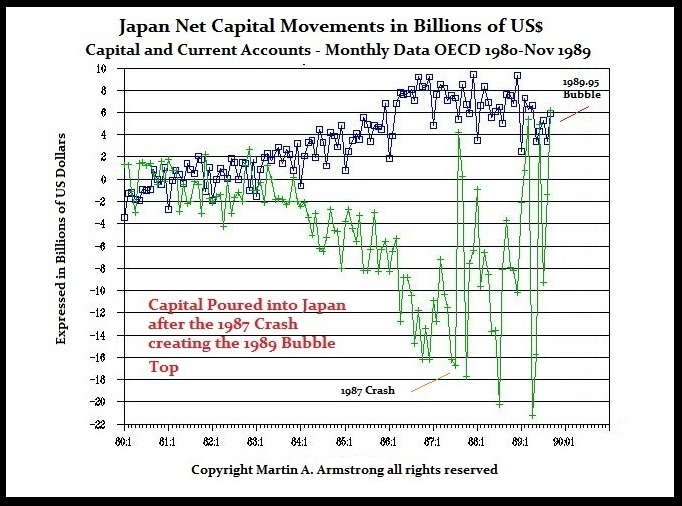 The 1987 Crash was simply caused by the G5 public announcements that they “wanted” to see the US dollar lower by 40% to effect trade thereby reducing the trade deficit and in theory create jobs. Such artificial intervention is HIGHLY dangerous, and warns above that government should address the issues directly that are increasing the trade deficit – taxes. By taxing corporations at excessive levels and labor, the cost of production in the United States is rising far more rapidly than other nations. Capital can always leave or hoard in times of uncertainty, but labor can do neither, as President Cleveland once commented. The numerous layers of taxation are increasing the international cost of labor and eliminating any hope of global competitiveness. Our Capital Flow models were created from being involved internationally with clients around the world. 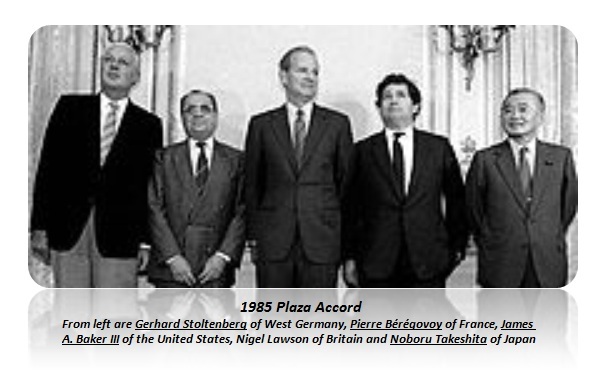 Out at first 1985 World Economic Conference, one could see the capital flows right there in the room. This was the inspiration behind creating our capital flows models, which have gain respect globally and now many others are seeking to follow our lead in this field. The full text of the Brady Commission Report is available at this link.